Preview images for the Originals episode "Don't It Just Break Your Heart"
It looks like a lot of the younger cast takes center stage in this one, including Danielle Rose Russell as Hope and Jedidiah Goodacre as Roman. There are also photos including Elijah (Daniel Gillies) and Klaus (Joseph Morgan). UPDATE: We now have a description! FLASHBACKS TO 1930’s GERMANY — A mysterious clue sent to Klaus (Joseph Morgan) leads him one step closer to finding Hayley. Antoinette (guest star Jaime Murray) opens up to Elijah (Daniel Gillies) after her past comes back to haunt her. Meanwhile, Marcel (Charles Michael Davis) makes a decision that puts him at odds with Klaus. Finally, Hope (Danielle Rose Russell) takes matters into her own hands to fix the mess that she’s created. Riley Voelkel and Steven Krueger also star. Jeffrey W. Byrd directed the episode with teleplay by Jeffrey Lieber and story by Bianca Sams & Jeffrey Lieber (#505). Original airdate 5/16/2018. 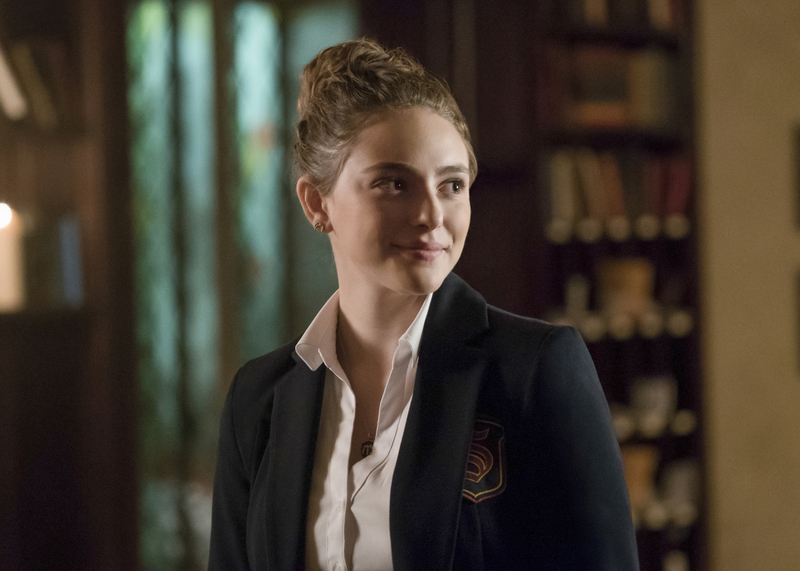 The Originals -- "Don't It Just Break Your Heart" -- Image Number: OR505a_0109b.jpg -- Pictured: Danielle Rose Russell as Hope -- Photo: Annette Brown/The CW -- ÃÂ© 2018 The CW Network, LLC. All rights reserved. The final season of THE ORIGINALS begins seven years after the core members of the Mikaelson family – Klaus (Joseph Morgan), Elijah (Daniel Gillies), Rebekah (guest star Claire Holt) and Kol (guest star Nathaniel Buzolic) — each absorb a quarter of the Hollow’s dark energy and flee New Orleans in order to keep both their beloved city and young Hope safe. In the interim, Vincent (Yusuf Gatewood) and Josh (Steven Krueger) preside over a Big Easy almost devoid of conflict, while Hayley (Phoebe Tonkin) and Freya (Riley Voelkel) watch Hope (Danielle Rose Russell) grow into a teenager, eventually opting to send her to the Salvatore School so that Caroline (guest star Candice King) can keep an eye on her. With Marcel (Charles Michael Davis) following Rebekah out of town and Elijah stripped of his memory, the danger seems to be contained… until a sudden tragedy forces the siblings to return home. As the Mickaelsons return to New Orleans, bringing the pieces of a centuries old evil with them, it becomes clear that the closing chapter of this family saga will be as bloody and emotional as ever.